When the time comes to replace the old flooring in the house, homeowners are inundated with a plethora of material types, designs, and more. Home flooring comes in a wide variety, so much so that it can intimidate home renovators. Each material holds its own unique blend of benefits and drawbacks, making it essential for homeowners to do their research before buying. The Shelby Design Center is proud to be your go-to lighting and flooring store in Shelby, offering expert advice and a wide range of products to ensure the best fit for your unique home. Our 20,000 square-foot lighting and flooring showroom highlights a large blend of special order options. 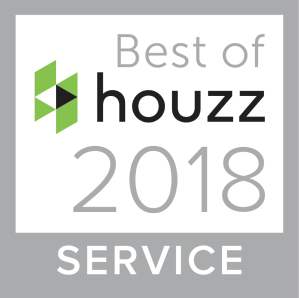 Homeowners in Michigan looking for expert advice and guidance on their home flooring and lighting projects can benefit from visiting our one-stop design destination! From engineered hardwood flooring to quality carpets and laminates, homeowners are faced with a mountain of decisions when it comes to home renovations. Today, we’ll begin to look into the positives and negatives of today’s most common flooring materials. 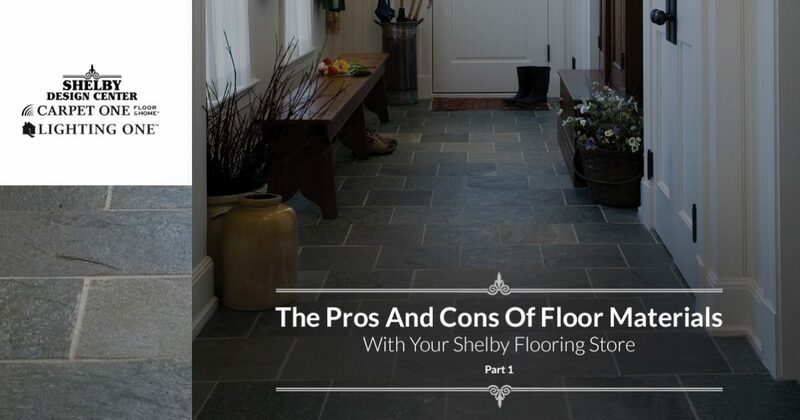 When done, be sure to stop by our Shelby flooring store to find the perfect styles for your project! Anyone seeking character and luxury for their home’s flooring can benefit from investing in hardwood styles. Homeowners can expect a long lifespan with their new wood flooring, which will last for decades when properly cared for. You can retain a plethora of shining beauty from your hardwood floors with relatively minor maintenance measures. Over time, these materials will begin to scratch and wear down. When this happens, you can refinish your hardwoods to restore them back to a smooth, pristine finish. Generally, hardwood floors can be re-sanded and restored up to 10 times. You can also stain or style your wood to keep pace with updated styles, reinvigorating your home’s floors with new life. Another positive that homeowners can expect from installing hardwood floors is the increase in home value. Balancing the resale value of your new flooring system with the project cost is an important part of the process, as hardwood options tend to be among the most costly in the flooring industry. Homeowners considering options such as laminate may be shocked at the sticker price of new wood floors. Hardwood is also susceptible to moisture, making it imperative to protect your floors from water damages. From rot to warping, wood floors can suffer from a range of costly issues. Larger families who put more wear and tear on their home flooring will also need to consider the fact that hardwood floors — especially softer species — can scratch easily compared to composite options. Deciding on your flooring material can be tough, which is why our home design experts are here to help! As a synthetic relative to linoleum, this material has come a long way over the past few decades. Modern vinyl is built to last, featuring major improvements over older options. Vinyl flooring is made with durability in mind, providing adequate protection against heavy levels of foot traffic. Installation and maintenance is also simple when compared to other flooring materials. Maintenance is minimal, requiring only the regular sweeping and upkeep to maintain an illustrious shine for the long term. Vinyl now also comes in a wide range of patterns, styles, and colors to ensure that you have the perfect option for your home renovations. Modern improvements have made it possible to create realistic wood grain patterns, offering even more versatility for homeowners. Vinyl is also very resistant to water and stains, offering more protection for those homes with heavier use. The final and probably most appealing benefit of vinyl flooring for homeowners is the affordability. Vinyl can cost a fifth as much as hardwood flooring per square foot in certain applications, which can quickly add up for larger homes. The installation process for vinyl, though, can make or break the final quality. Any small imperfections in the subfloor can create minor bumps and marks on the surface, requiring a degree of perfection for an aesthetically pleasing outcome. A quality underlayment will help to offset these concerns. While durable and cost-effective, vinyl is more susceptible to damages. If left exposed to too much sunshine, moisture, or temperature changes, your vinyl can begin to crack, peel, and degrade. Our flooring experts can help you decide on whether or not vinyl is the best answer for your home. Finding the perfect flooring for your home can be a challenge, but the benefits of finding the perfect material can provide long-term benefits for your home. Next time, we’ll continue on this topic by discussing a few more available flooring materials. If you are not sure of how to proceed, the Shelby Design Center can help! Our comprehensive flooring store in Shelby has the expertise and design styles to inspire your project and take your home to a higher level of quality. We’re proud to be your all-in-one stop for home design solutions, and we’re equally excited to show you our services. Contact us today to learn more or stop by our flooring showroom to begin!